Once you've uploaded your theme, it's time to make it your own. 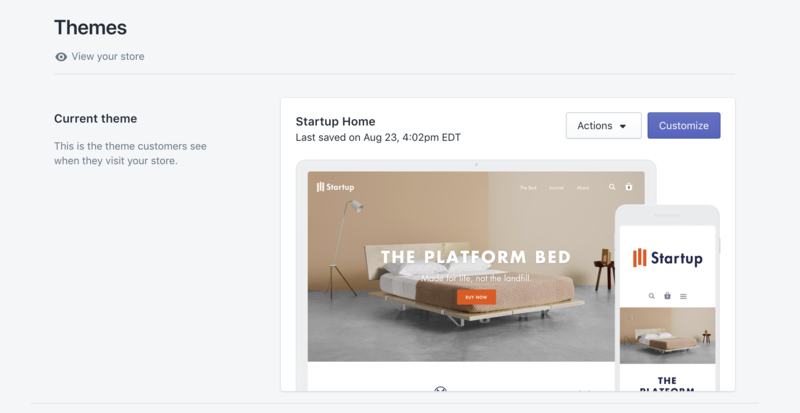 While all of your products, collections, pages, and navigation are configured in the Shopify admin, any changes you make to the look and feel of your store will happen in the theme editor. Access it by navigating to Online Store > Themes > Startup > Customize. The Sections tab contains all of the sections that are available to you in Startup. Essentially, sections are the building blocks of your store used to assemble pages from customizable, movable components. You can add, remove, reorder, and customize features for each in the Sections tab. 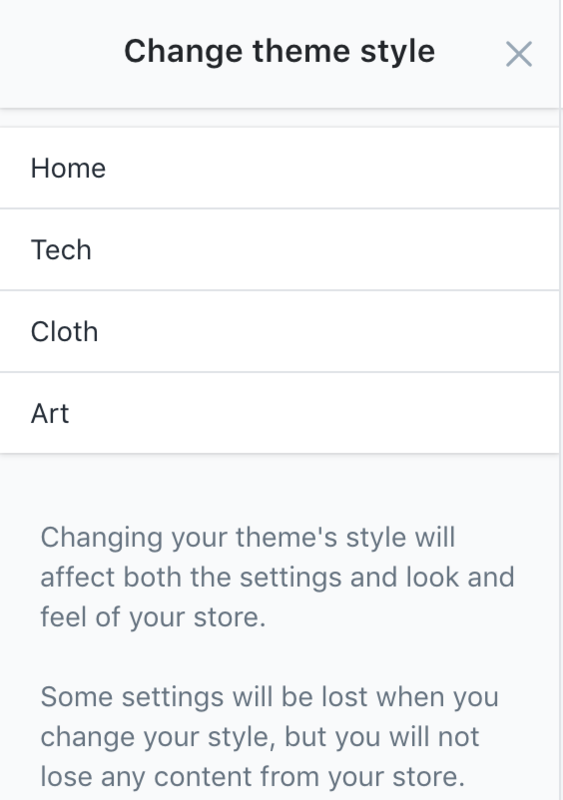 The Theme settings tab controls global changes to the look and features of your store–such as Typography, Colors, and Social media accounts. In bottom-left of the theme editor, access the More actions menu for links to Preview/View theme, Edit code and Edit languages. If the theme hasn't been published or remains password-protected, the Preview theme link will open a new tab or window with a preview to demonstrate how the store looks and operates with the current content, configurations, and settings. This gives a sense of how features work and feel from the perspective of the customer. After both publishing the theme and removing the password-protection, the link will read View theme and direct to the live URL. Edit code directs to the theme files. These determine the structure, aesthetic, and function of the theme. While editing these files is not advised, certain apps and customizations require modifications to these files in order to work with the theme, in which case these files can be access here. Startup comes packaged with four theme styles that curate your store's colors, fonts, and styles for you. Check out our store demos to see the Home, Tech, Art and Cloth presets. Applying and saving a new theme style will overwrite your current style settings. However, you will not lose any content from your store. It's always a good idea to make a backup copy of your theme before you start making customizations. Use the duplicate copy as your working version until you're ready to publish it.